This game's assets are entirely made by myself but it uses one font that I've made previously for other projects. Some of the base mechanics of this game are based on one of my all time favorite games: Rick Dangerous. It was my objective to break down some of the aspects of that game that I liked the most. However, I've modified those mechanics substantially to enhance action in this game, rather than puzzle as was the case of the original. Please enjoy this game. To install it, just unzip and run the executable. From a gameplay perspective, this is my favorite game of the Jam that I've tried so far! Really fun, looks and sounds great, and a good challenge. The humor is a nice touch too! 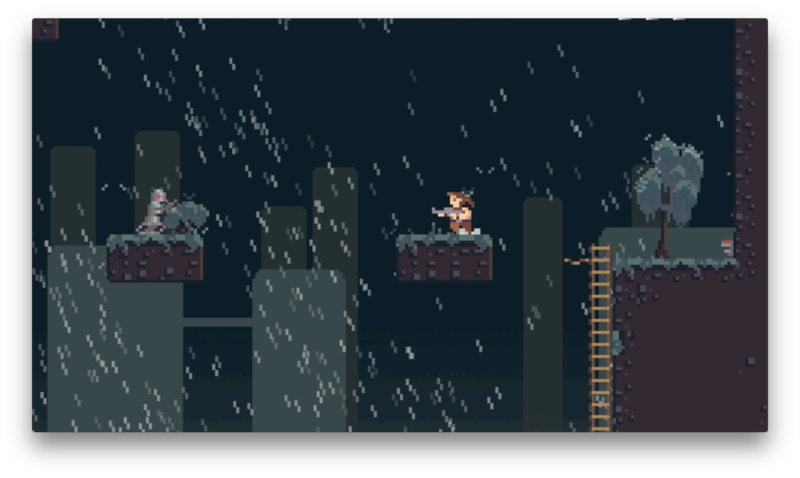 Sadly, the game ran way too slow on my PC once I reached the rain level. I would love an option to disable the particle effects so I could finish this! Glad you liked the game and I'm sorry that your experience was not satisfatory due to the heavy game requirements. Out of curiosity, what computer is this? @JackLeHamster and @meatpudding also had issues but all the computers I tested it on were just fine. My development PC is pretty powerful so I usually try to test it on less powerful machines to figure out if adjustments have to be made. I had no problems on a 2016 macbook pro or a 2017 microsoft surface and these are not the most powerful. I've got a Toshiba Satellite L75D-A. I think it's from around 2013. I have 8 gigs of RAM and an AMD-A4-5000 (1.50 GHz) video card. Well... It might be a bit too late for this jam but I'll try to include some disabling options next time. It might be hard due to time constrains though so I don't think I can place it on the top of the list of stuff to do. It would nonetheless be interesting to have an automated way to determine the performance of the player's PC and adjust stuff correspondingly. That's cool! Strange that it works on a 2011 Macbook Air, but not on my PC, maybe it has something to do with the OS... but I honestly have no idea. Cheers! It was a good play with good advices to improve the design. 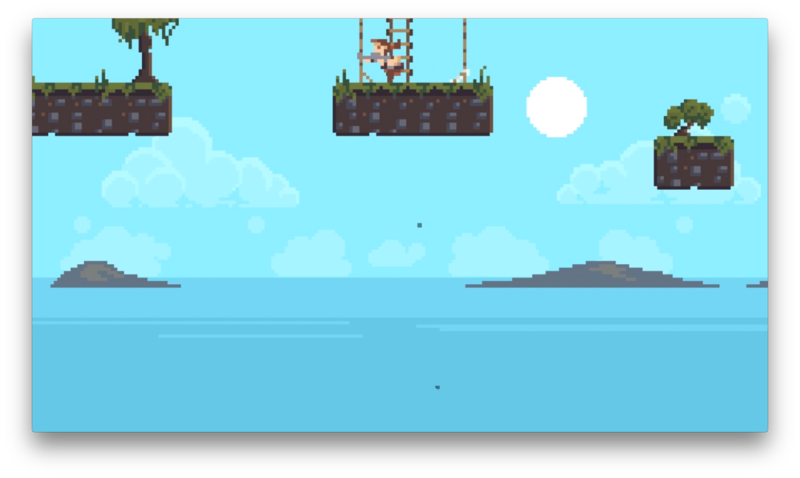 I already modified the game to follow some of your suggestions, including an attempt to balance the sound and music volumes. Man I've been looking forward to playing this one and it did not disappoint! It's so snappy and fun to control -the action direction is spot on! The art and effects are fantastic and really polished, great humor and I loooved the music too! -very impressive work! Thanks for playing it! I also had a great time playing your game! Sec, great work man! You did a wonderful job on this and I really really enjoyed b reaking your game live! Overall, really polished. I'd love to see a little improvement on the ladder mechanics, but other than that, great work! Hey! Thanks for playing my game. It is indeed challenging and I actually updated it to be easier. The first version was perhaps too much.. Very nice graphics! 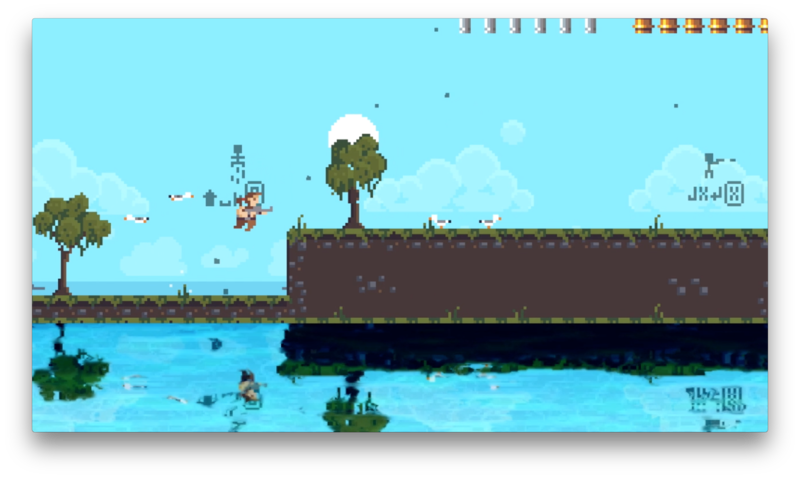 (the water reflections don't match so well with the pixel look of the rest of the game imho). Some combinations felt a little frustrating for to me (like ladder + arrow trap). I liked the narrative scenes very much, and would have liked if there were even more of them. Very cool, congrats on this entry! Uau! Thanks for all the feedback! I tried to make it as challenging as the original... Most likely a bad idea for a jam game. I might revise this some time this week. 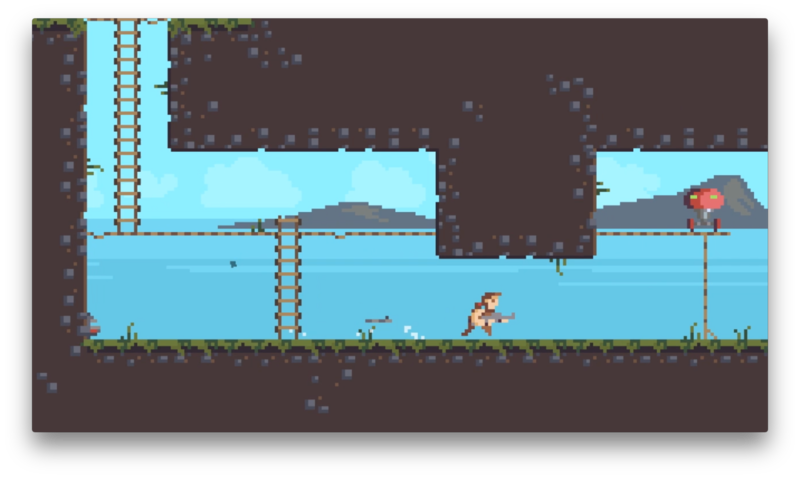 The water was sort'of a last minute addition and I didn't worry too much about combining it with the pixel look. 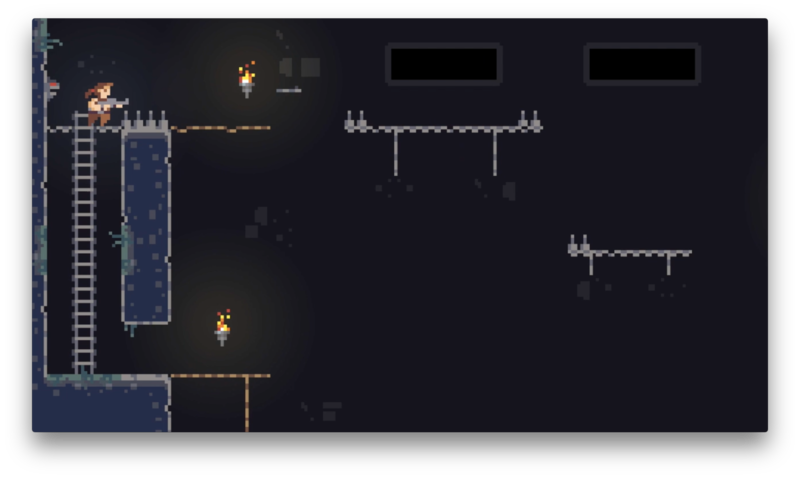 I'm not really a pixel art purist :) but I might also revise this. Hopefully the shader can be modified to remain within a pixel grid. Again, Thanks a lot for checking it out. This is the second game I play from yours Daemon vs Demon being the first! Fun and great games!! Thanks! I was really worried that there would be a problem specific to linux since I could not test it properly. I guess that a reasonable machine is still required though. there's no need to ask. Of course I'll gladly rate your game. This game is a lot of fun. Unfortunately runs with a pretty low framerate for me on Linux. Might be worth getting new ammo at the beginning of a stage.